Set of four Vintage Swarovski Rhinestone Heart Charms with loop. 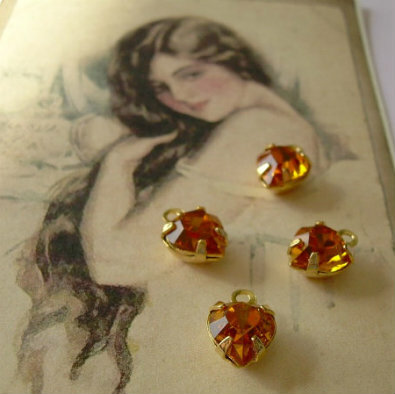 Glittering Citrine Rhinestone Hearts are prong set in a rich gold-plated metal. High Quality and Absolutely adorable!